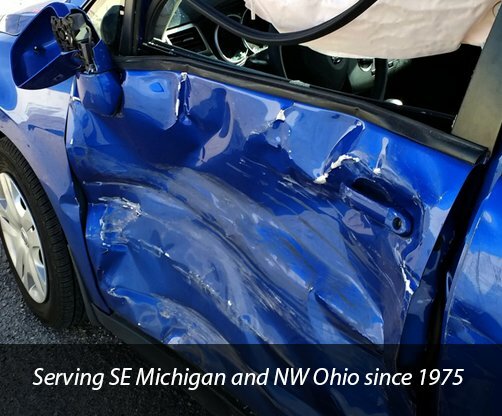 Central Collision’s trained professionals know that a major collision can be stressful, traumatic and overwhelming. That is why we go above and beyond to make sure that our customers’ experience from towing to repair is as quick and easy as possible. If you’ve been in an accident, we’ll inspect your vehicle, assess the damage and determine an action plan to get you back on the road. Our primary concern following a major accident is identification of any structural issues that may significantly impact your safety. We will work with your insurance company to address those items to return your vehicle to its pre-accident condition. While your vehicle is being repaired, you can be reassured that the Central Collision team will keep you updated on the status of your vehicle repair throughout the process and provide you with a rental vehicle for transportation while we work. Central Collision also provides a Lifetime Warranty on all repairs as long as you own your vehicle. Please contact us if you have been involved in a major collision. We would be happy to supply you with a quote online or over the phone and we always welcome comments and suggestions.